At about 2:23 A.M. local time on Saturday, China launched a rocket carrying the Chang'e-4 lunar lander from Xichang Satellite Launch Centre in southern China. An unofficial live stream record near the site documented the rising of the rocket as it made its journey to the Moon. Chang'e-4 contains a 2,400 pound lander and 300-pound rover based mainly on the preexisting Chinese moon lander Chang'e-3 that touched down in 2013. This rover is set to land in the 110-mile-wide Von Kármán crater located on the far side of the moon.This crater is found in the South Pole-Aitken basin, a gigantic, 1,600-mile-wide crater near the bottom of the moon. Through a collaboration with entities such as Kiel University in Germany and the Swedish Institute of Space Physics, the instruments will investigate the structure of the rocks in the area to study the effects of the solar wind on the lunar surface. 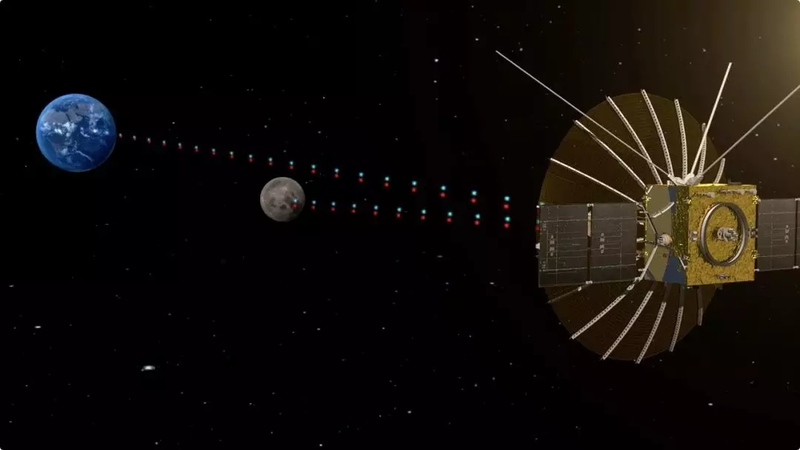 In addition, Chang'e-4 will also make radio astronomy observations from the far side of the moon to understand the lack of effects of noise and interference which are present on Earth. This will be paired with a biological payload that will see if plants seeds are capable of germinating and silkworm eggs are able to hatch in the moon's low gravity. Although China's space agency has not announced a landing date, it is currently believed by some experts that the lander will touch down around the first week of January.